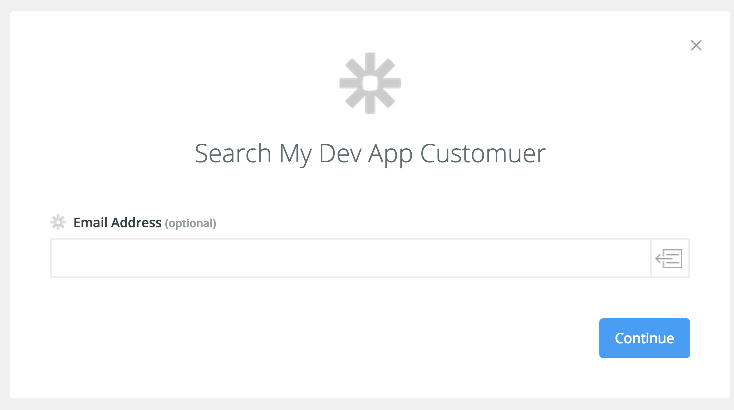 Search Fields answer the question: what details can a user provide when setting up a Search? Each Search should have at least one Search Field, because otherwise we won't know what to include in the query. 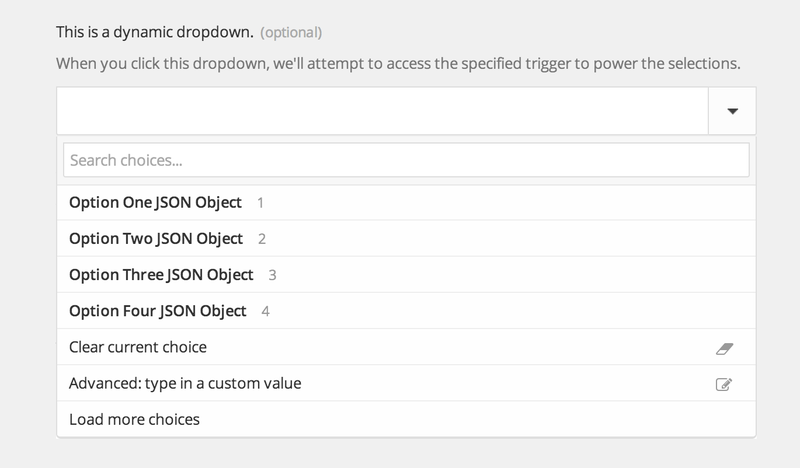 You can also dynamically load custom Search Fields by inspecting a custom field endpoint of your own. Learn more. A key for you and your API's consumption. This is available for variable syntax in the Search URL field as well as in Scripting. Needs to be at least two characters long, start with an alpha, and only contain a-z, A-Z, 0-9 or _. A human readable Label shown in the UI as a user works to complete a Search. Human readable description of a Search field, useful for describing some detail you couldn't list in the Label. Specify the first name to search by. or Restrict the search to contacts in this category. A default value for a field. The behavior varies between required and optional fields. For required fields, the default will be set once when the user first creates the Search, but it is not guaranteed after that (we raise an error on missing/null values instead). For optional fields, it is set on initial creation and used in place of missing or null values every time the Zap runs. The type we will try to coerce to on the backend. Fails silently to ensure that tasks aren't dropped on coercion errors. You can get a full list of supported types and the coercion implied here: Field Types. A comma separated string that will be turned into a select field for limiting the choices a user can provide to a Search field. Indicates if this field can hold multiple values. For example, this could be useful if you want to allow users to search for a contact by name, but limit the search to contacts with one or more tags applied. List fields gain the +/- icons to the side.